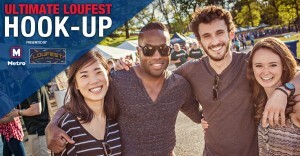 LouFest returns to Forest Park September 12 and September 13 and Metro has the perfect VIP experience for two lucky fans. We’ve teamed up with LouFest for a one-of-a-kind experience that’ll make you feel like rock ‘n’ roll royalty for the weekend. The prize includes two 2-day LouFest VIP passes that include: unlimited access to the LouFest VIP Lounge, happy hours featuring local food and drink, reserved air conditioned bathrooms and shaded and relaxed lounge seating. And that’s not all! The prize package includes a 2-night deluxe stay at the Drury Inn & Suites and free all-inclusive Metro Adventure Passes for unlimited access on MetroLink, MetroBus and the Forest Park Trolley that weekend. Regardless if you win or not, Metro can help you get to the fun. We will operate special shuttle service to the concert venue in Forest Park. Concert goers may take MetroBus or MetroLink to the Forest Park-DeBaliviere MetroLink Station and then catch the #3 Forest Park Trolley to LouFest. If you show your Loufest ticket when you board the #3 Forest Park Trolley, you will ride for free; if not, the trolley costs $2. You must have a valid Metro ticket or pass to ride MetroLink or MetroBus. Stay tuned. More details about the special shuttle will be shared next month. 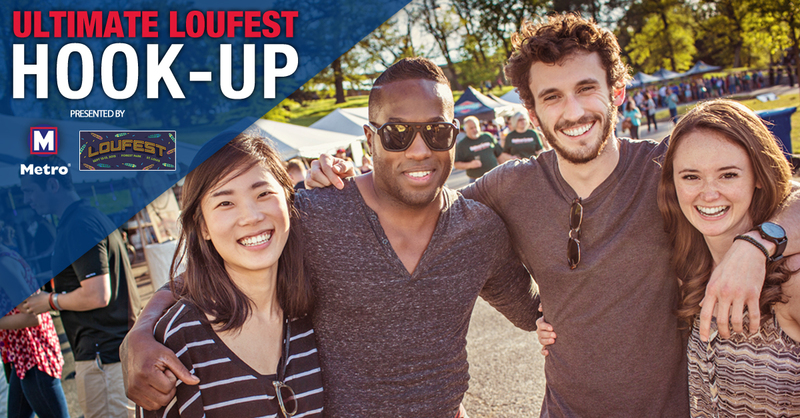 Now are you ready to try to win the ultimate LouFest VIP treatment? Submit your entry form today! You must be 21 years or older to participate in this promotion. All entries must be received before midnight on Tuesday, Sept. 1.